Leon Trotsky (7 November 1879 – 21 August 1940), born Lev Davidovich Bronshtein, was a Russian Marxist revolutionary and theorist, Soviet politician, and the founder and first leader of the Red Army. 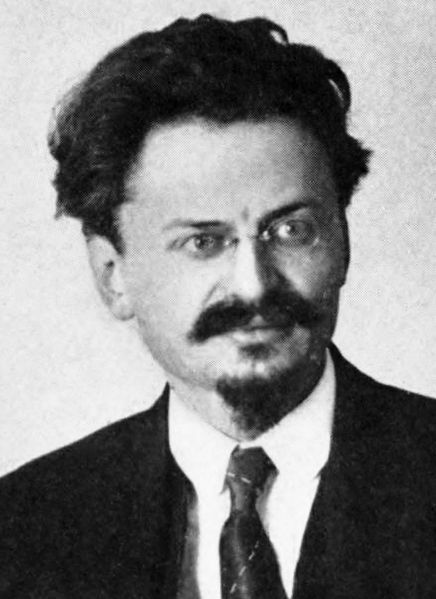 Trotsky was initially a supporter of the Menshevik Internationalists faction of the Russian Social Democratic Labour Party. He joined the Bolsheviks immediately prior to the 1917 October Revolution, and eventually became a leader within the Party. During the early days of the Soviet Union, he served first as People's Commissar for Foreign Affairs and later as the founder and commander of the Red Army as People's Commissar of Military and Naval Affairs. He was a major figure in the Bolshevik victory in the Russian Civil War (1918–20). He was also among the first members of the Politburo. Trotsky's ideas were the basis of Trotskyism, a major school of Marxist thought that is opposed to the theories of Stalinism. He was one of the few Soviet political figures who were not rehabilitated by the government under Nikita Khrushchev in the 1950s. In the late 1980s, his books were released for publication in the Soviet Union, and in 2001 he was finally rehabilitated.